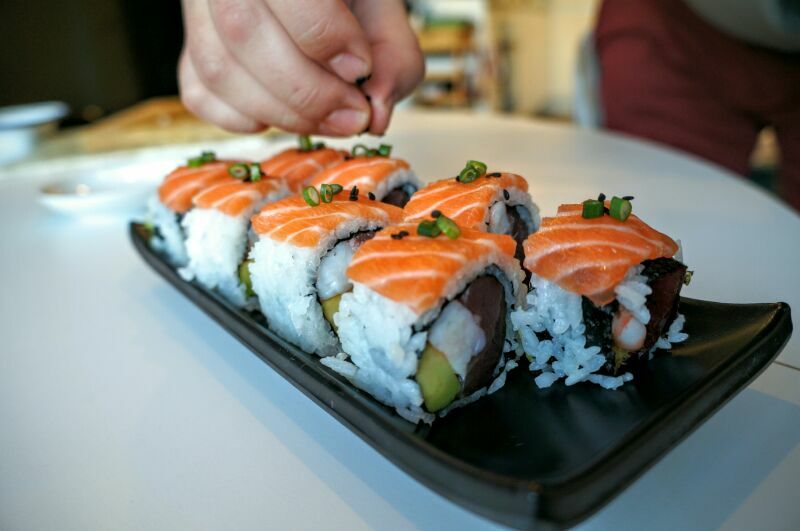 "This one is quite unique - Salmon on top, Tuna and Avocado inside. You are going to love it!" 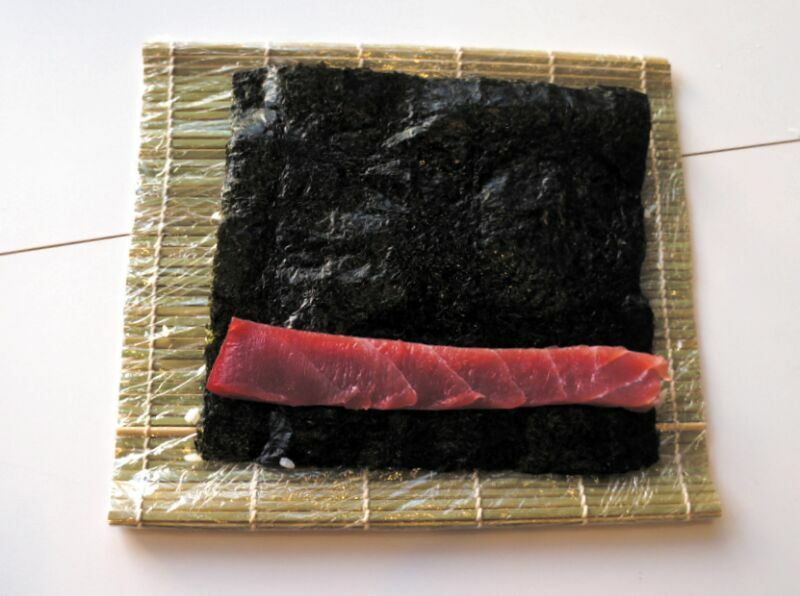 First thing first, place a nori sheet on your working surface with the rough side facing up. 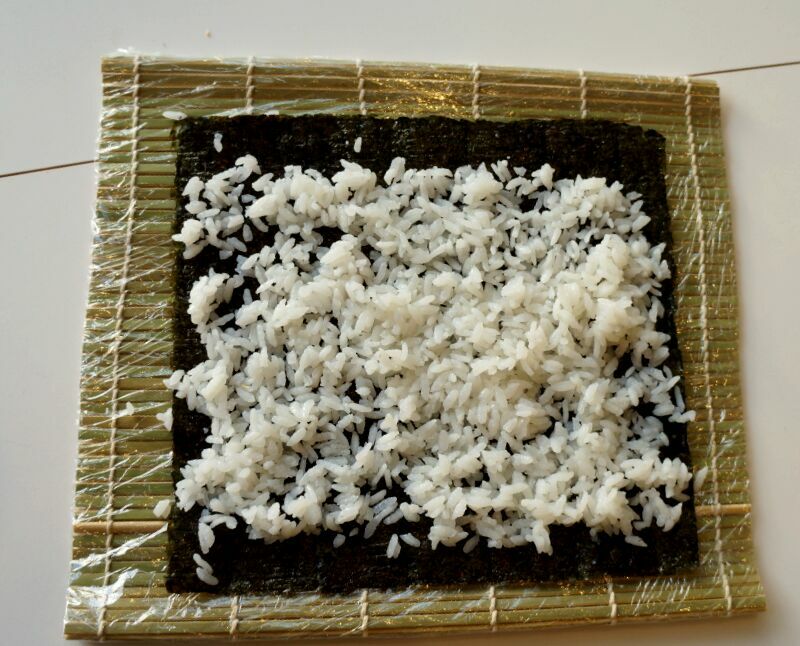 Next, with wet hands, grab a handful of rice, shape it info a ball and place it in the center of your nori. With your hands still wet, break out the rice ball and start gently spreading the rice around the surface it the nori to cover it equally. You can, like I did, leave about 2 centimeters of shoulders not covered with rice. Really simple. 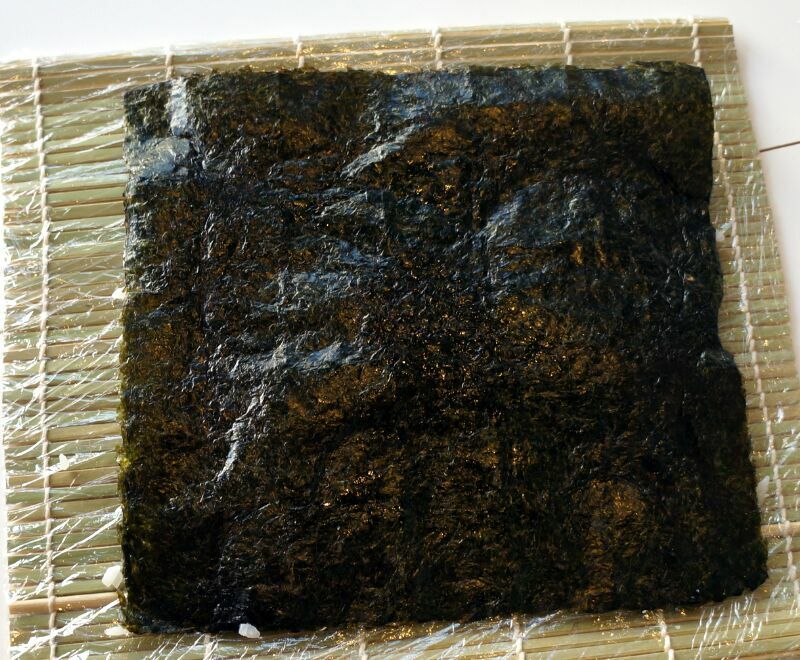 Grave the nori with two hands and flip it over. 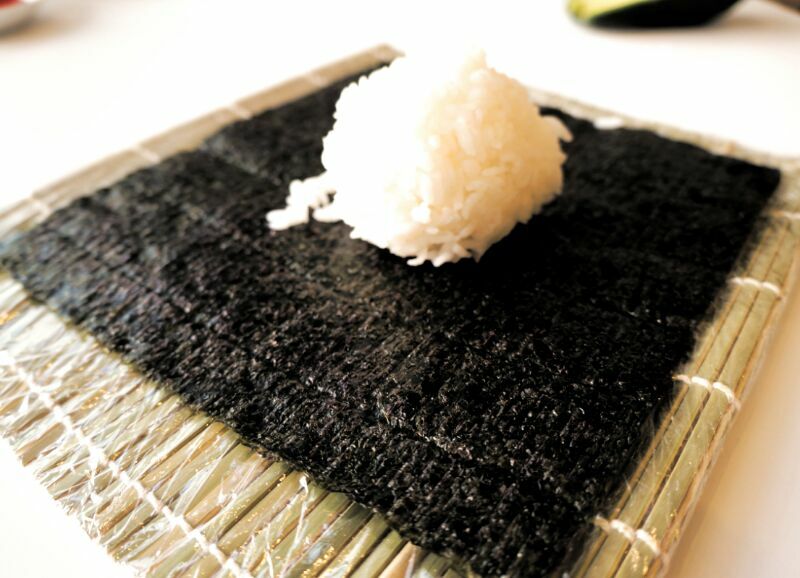 Now, the rice should be facing the ruling may, and the smooth side of the nori facing you. Let’s move on the placing the roll filling. 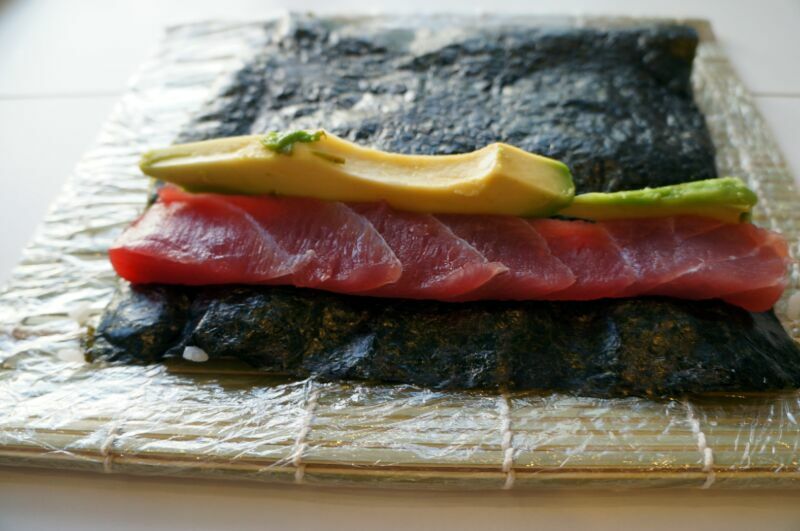 First, is a thick slices of tuna. 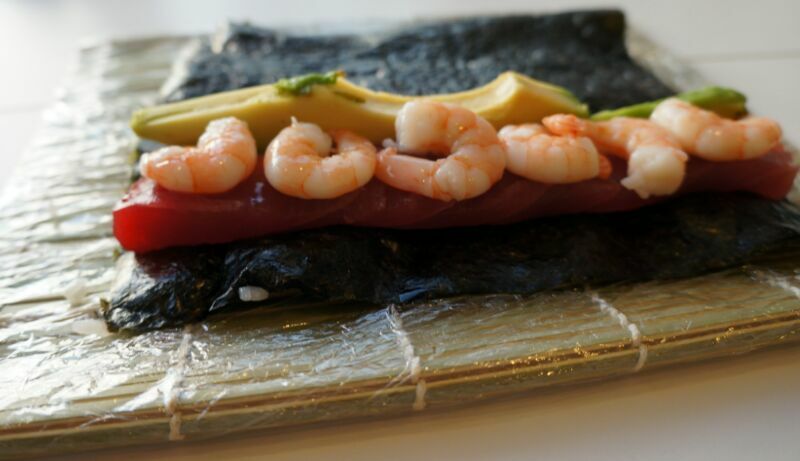 If you have a slice long enough to cover the whole length of the nori that’s perfect! If not, you can line up two or more slices one after the other. Just make sure the tuna slices are as evenly thick as possible. Next, is the avocado. Place to thick slices of avocado right next to the tuna. Again, make sure there avocado slices are as evenly shaped and I’d similar thickness. Depending on the shape of the city, you might want to overlap the slices add shown below. Last, are the prawns. Place them on top of the tuna. As before, is a good idea to overlap the prawns where needed. 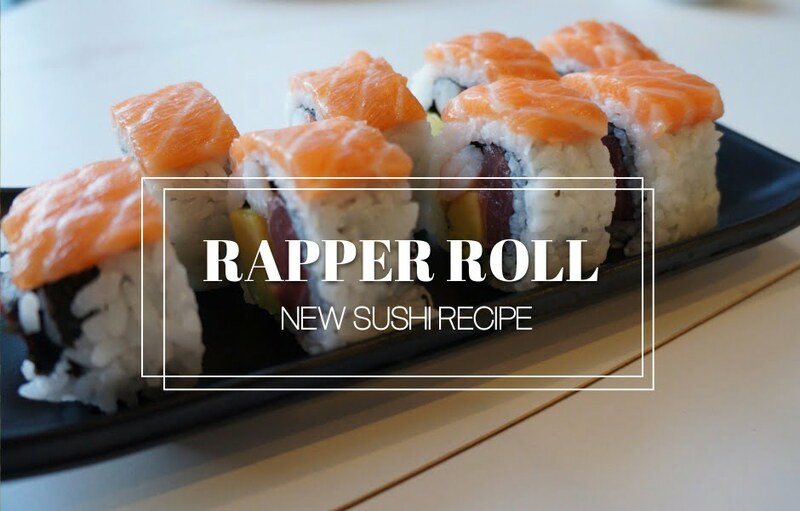 Takes two thin slices of salmon and place on top of the roll. 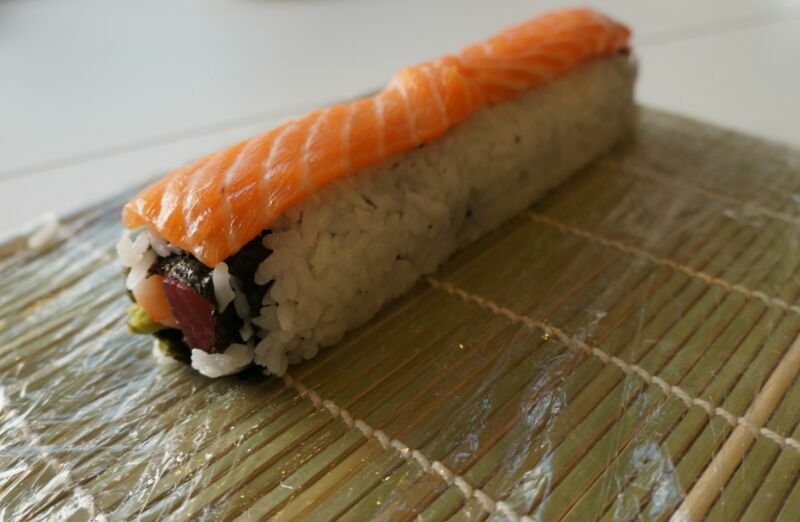 They can be wider than shown below, and cover more sides of the roll if you wish. 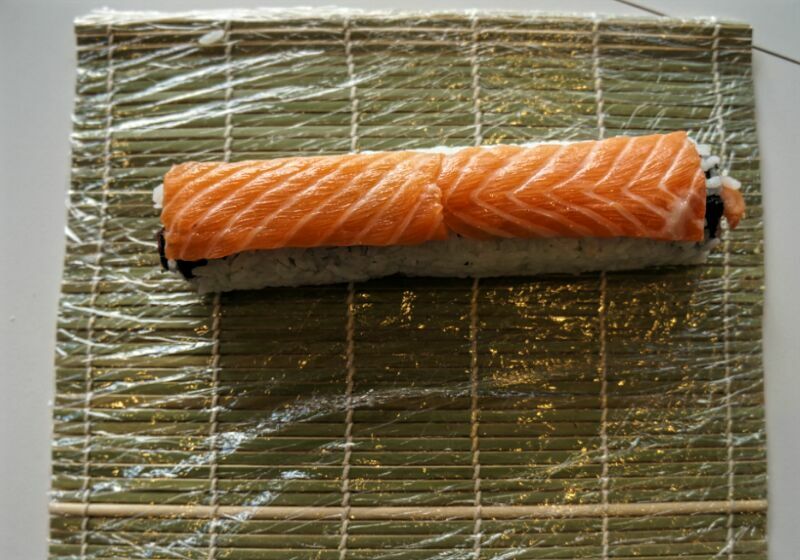 Use the mat to press the salmon onto the rice. Notice how the slices are well centered and not overlapping. 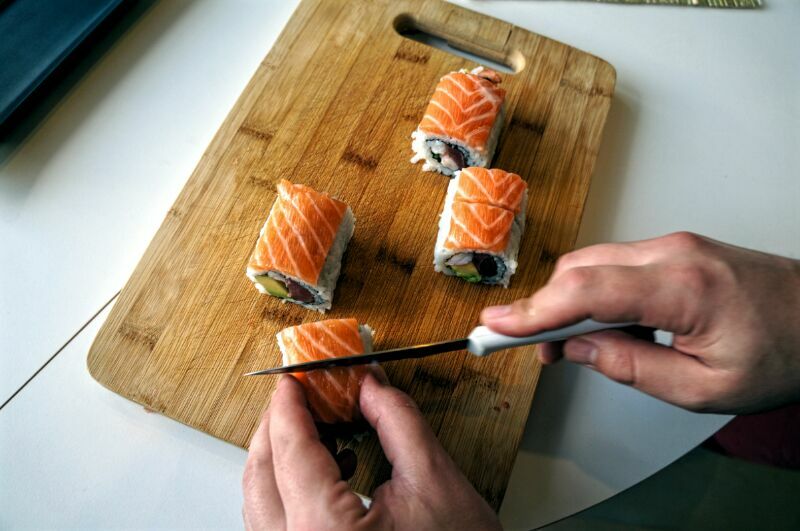 Use a clean, sharp and wet knife to cut the roll into pieces. In the image below you can see I’m using a regular kitchen knife. It usually does the trick for me, but ideally you’ll use a longer sushi knife. For the best result, first cut the roll in half, and then each half into halvs, and one more time until you end up with 8 equal size pieces. Plate the studio onto a nice dish. You can use copied green onions on to like I did. Did you like this roll? Please share your thoughts below weather you made it yourself just enjoyed watching! New York music gigs ● Liverpool tap water ● London music gigs ● How much do you tip a hairdresser?